Superstar Mahesh Babu, who is currently riding high on the success of his latest offering Bharat Ane Nenu, has been on a success tour. 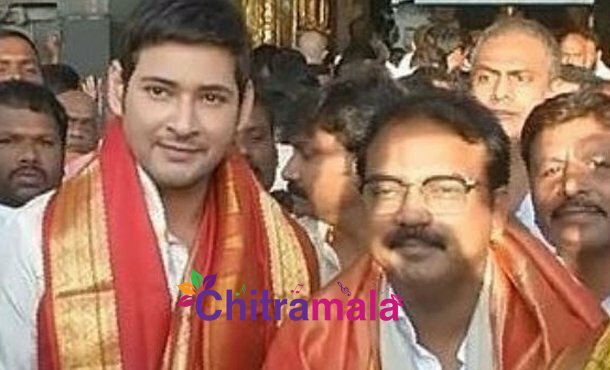 However, prior to the success meet, Mahesh, who arrived Tirupathi in a special flight, offered prayers at Lord Venkateswara. Hundreds of fans gathered at the temple ahead of his visit. The Superstar is reportedly scheduled to grace the success meet at Tirupathi and he will watch the movie once again with the local fans there.